Pollen is in the air and the first batch of policy changes that eBay announced as part of its 2013 Spring Seller Update are taking effect. Among them are changes to Buy It Now listings, listings with the Best Offer option, feedback and eBay Store subscription fees. Here, we recap what's changing and what will be changing soon. As of Wednesday, auctions with the Buy It Now option must have Buy It Now prices that are at least 30 percent higher than the listing's starting price. If they don't, listings may fail to post, says Auctiva.com product manager Rebecca Miller. Sellers who offer Buy It Now listings will also notice these listings will remain for sale until a buyer actually pays for an item—a change eBay hopes will reduce the number of unpaid items on the marketplace. The same will happen with products listed in the Computers & Tablets, Jewelry & Watches, and Art categories if the listings have the Best Offer option enabled. Another change that took effect on Wednesday is meant to protect sellers. With it, eBay will remove all the feedback—good, bad and/or neutral—left by a buyer if a Buyer Protection case is found in favor of the seller. This will happen automatically. However, eBay adds that feedback left on cases filed with PayPal Buyer Protection will not be removed. The change that got the most attention in March also started on Wednesday: new eBay Store subscription plans. With them, subscribers will pay no insertion fees for up to 2,500 listings, depending on the plan they're on. Additionally, merchants will pay just one of five final value fees—between 4 percent and 9 percent—depending on the category they list in. Reactions to this change were mixed when it was initially announced. Selling expert Kat Simpson told The Online Seller she was excited about ditching the insertion fees. Others were less thrilled. "It is clear to me that eBay no longer wants to sell anything but technology-related items," writes one reader. "Those of us who sell designer clothing, fine china, vintage and other collectables are getting killed. I recently sold a Chanel tote bag for $1,925 at auction. I paid 7.5 percent for the first $50, 4 percent for the next $950 and 2 percent over $1,000 for a final value fee of just under $61. Under the new scenario this sale would cost me 9 percent times $1,925, [which] equals $173.25." Other announced changes are still to come. Later this month, sellers will notice they can specify a same-day handling time on their orders. In July, new image quality standards will take effect. Starting July 1, listings must have images that are at least 500 pixels on their longest side, include at least one photo with each listing and watermarks will not be allowed for marketing purposes. Additionally, sellers will not be able to use borders on their images. Read more about this in "eBay Warns of Image Policy Violations." Miller says the changes will affect sellers differently. "It really depends on the type and size of seller you are," she adds. "The image thing doesn't affect me because I always take big photos anyway and don't put text on them. The 30-percent rule will affect me, but I just have to adjust my BIN prices." 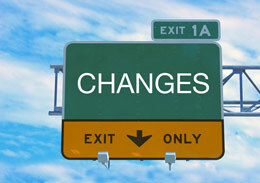 What do you think of the changes announced with eBay's 2013 Spring Seller Update? Tell us in the comments below. The photo change without ebay supplying a tool to bulk edit is very tacky & unethical. The burdon of us sellers to change 100's to 1000's of photos by hand individually will take to eternity & they give us a July 1 2013 Deadline or THREATEN US! i think donahoe is nuts!